Ever pondered on the decline in Parent - Child emotional and psychological relationship in contemporary Nigeria? 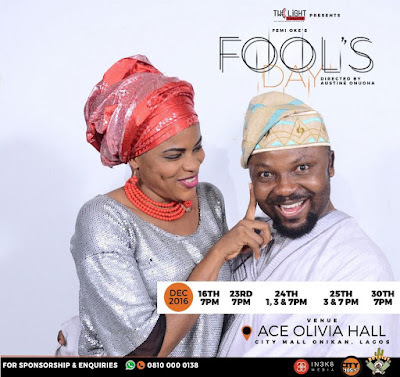 Fool's Day (link in our bio) takes a dramatic survey of the Nigerian family unit, wrapped with some really good dose of comedy. This play touches on the serious issues that parents could face when they see their only priority as providing for their children’s financial well-being. 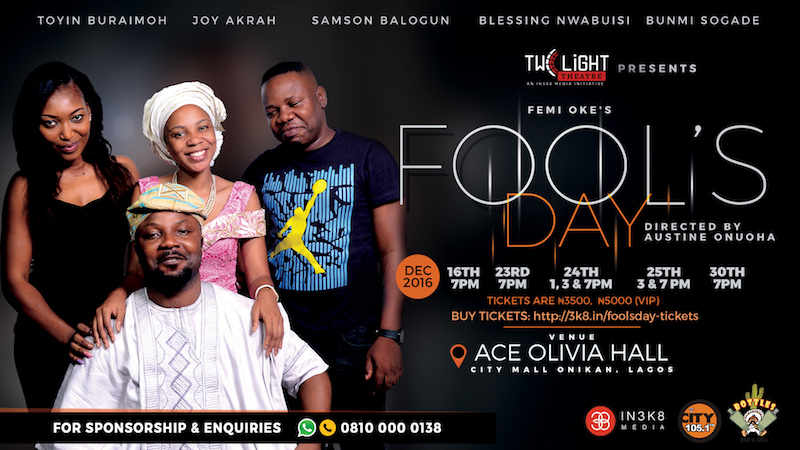 Featuring Toyin Buraimoh, Bunmi Sogade, Joy Akrah, Samson Balogun, Blessing Nwabuisi and many more under the creative direction of Austine Onuoha, Femi Oke‘s play is increasingly relevant today as labour economics force parents to make stark choices. This a hilarious contemporary piece that holds up a mirror to society’s value system. Will society like how it looks? Venue: Twilight Theatre @ Ace Olivia Hall, City Mall, Onikan, Lagos. Ticket Prices: ₦3,500. 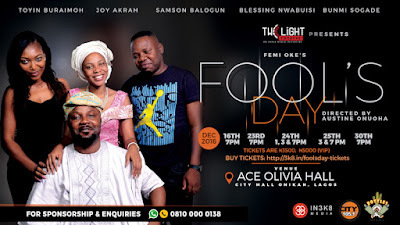 VIP (₦5,000) and Student (₦2,000) tickets are also available. Oyin Jolayemi Street, Victoria Island. Oando Filling Station, Ikate, Lekki. You may want to add this to your to-do list this December.